New Well Trading Company was founded in 1983 in Hong Kong and was further changed to New Well International Metalware Limited in 1988 for international development. New Well trades and wholesales high-quality industry tools such as mould components, cutting tools, and polishing products. With over 20 years of continuous strive in high-quality products, service, and at reasonable prices, New Well products are widely accepted in the market and in the industry. New Well will continue to provide different tools to meet customer's needs. 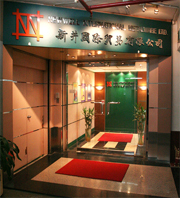 1983 : Import Mould Components from Japan and Taiwan; Further established its own production in China in 1993 to produce NWM® Mould Components.